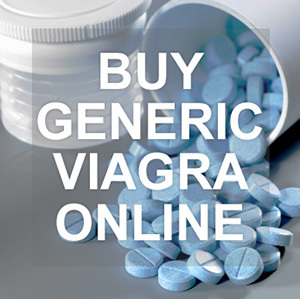 View cart “Stan-Max 10mg (100 pills)” has been added to your cart. Oxymetholone is the strongest and most effective oral steroid. The drug has an exceptionally strong androgenic effect, and is also very intense anabolic. For the same reason, in the shortest time, huge increases in strength and muscle mass are achieved. It is not uncommon to gain weight in 5-7 kg or more for only 14 days. In this case, there is a partial increased accumulation of water in the body, which quickly increases muscle volume and in a record time gives those who use this drug a massive appearance. Because The muscle cell attracts a lot of water to itself, then the general musculature acquires a smooth, inflated look in most athletes. Oxymetholone does not provide a qualitative muscle growth, but only a quantitative one, which is desirable in the OFF-season. Oxymetholone (Anadrol)“lubricates” the joints, as water accumulates there, which is not an insignificant factor for a huge increase in strength and facilitates athletes training, suffering from joint diseases. The course with oxymetholone sustanon gives impressive results both in muscle mass gain, and in increasing strength indicators, increasing endurance and self-confidence. Increased self-esteem, performance. At the age of 21 years, it is appropriate to apply the course with the drug Oxymetholone 100 tab 50mg. The duration of the course is from 4 to 6 weeks, the optimal dosage is 100 milligrams per day. Carry out after the steroid course post-course therapy is necessary. Thus it is possible to quickly recover. In addition, all the results achieved against steroids are preserved. PCT is an excellent helper to exclude the phenomenon of rollback. Start taking testosterone booster 3, or even 4 weeks. Thus, you can restore the production of natural hormone-testosterone in athletes.